Heads up! 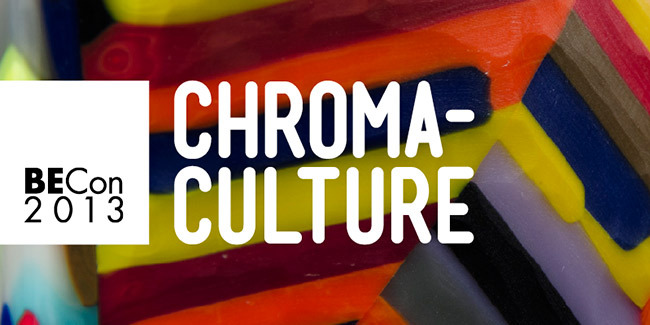 Tomorrow BECon 2013, Chroma Culture opens registration. This upcoming conference sounds amazing! It’s about color. That’s why I do glass…color. Is there any other reason? Last BECon was one of the most empowering experiences I’ve had so I can only imagine how fantastic this one will be. Listen to me gush. But look at some of what’s going to happen. There’s Narcissus Quagliata and Ted Sawyer and Rudi Gritsch and Stacy Lynn Smith and all the others…I could go on but I just suggest you go over to the page and check it out for yourself. And then sign up tomorrow!